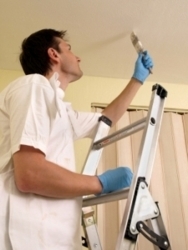 About Us We are a family run painting and decorating firm with 26 years trade experience specialising in all aspects of painting and decorating including internal and external painting. Wallpapering. Wallpapering removal etc. All our work is fully guaranteed and we offer highly competitive rates and free estimates. So for help advice and a free estimate call Barry now.